I did intend on returning to Akiba but not this soon, this was all TimmyC’s doing, he was super keen! Despite the bad weather, we head in with enthusiasm and we giggle when we are seated in our previous seats with the same server from our first visit (see my previous blog post here). Here is the menu, this time complete with prices. Natural oyster, ume mignonette (4 pieces $10.00). All of the oysters were still anchored down in the shell so when I tried to one shot my oyster, I ended up sucking all the mignonette and then having to go back and set my oyster free, which by then was then just an oyster. Bits of the shell did break off so I had to spit them out after eventually getting to the oysters. Instead of four quick shots of oysters, it ended up being a little bit more effort than I thought it would be and the flavours weren’t particularly amazing. Kingfish sashimi, coconut, nam jim, coriander ($12.00). We loved this dish during our first visit but this time it was much hotter and it caught TimmyC off guard. I still really liked it but TimmyC couldn’t eat much more after his first bite. Yellowfin tuna, organic Japanese soy, wasabi panna cotta ($14.00). I had forgotten that there was supposed to be a wasabi panna cotta until I re-read the menu just now. I didn’t notice this component and to me this was just a really nice sashimi. Steamed prawn and chicken dumpling, chilli oil, black vinegar dressing (4 pieces $10.00). I thought this was a really nice dumpling and I really enjoyed the black vinegar, but I didn’t think there was anything special about this dish. Pork belly bao, char sui, asian slaw ($8.00). Wow, what a turn around in almost every aspect. The cut of pork was much more suited to fill the bao, the bao itself was much nicer but still not perfect; they are now made in-house rather than brought in from Sydney. There was definitely a bit of everything within each bite which makes it easier to stomach the steep price attached (Ippudo buns are $4 a pop). The bun is brimming with excitement and it can barely contain itself. Sweet corn pancake, chilli caramel, togarashi ($4.00). Kimchi and angasi pancake, kewpie mayo, sirracha, ittogaki (4.00). I liked how you can just order one pancake as this allowed us to explore more of the options. Both were really nice but I think we liked the kimchi and angasi pancake more comparatively because it had more bold flavours. 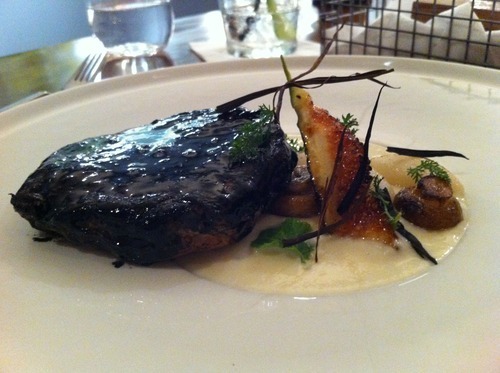 Smokey roast potato, pecorino custard, smoked eel teriyaki ($5.00). “Here’s your one potato”, I giggled at the introduction of our dish. I’m surprised that TimmyC ate and liked this because he isn’t a big fan of cheese. 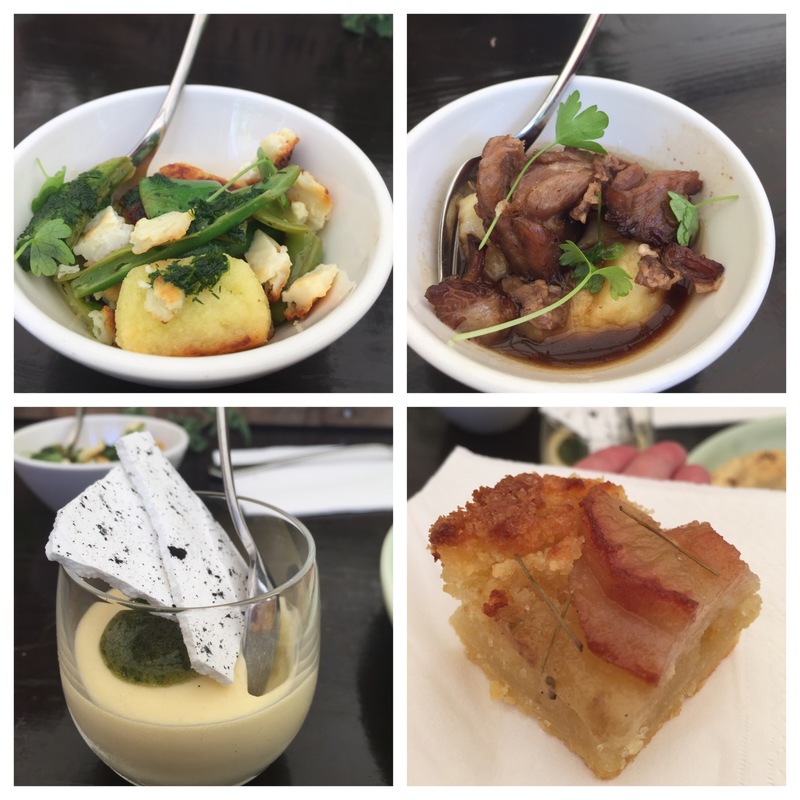 The potato was super super crispy, the pecorino custard wasn’t over powering and a unique concept and the eel helped bring everything together. I really liked this and was very tempted to order another. We had ordered 8 items that we requested not to be staggered out, I wanted to see how fast the service could be and TimmyC was very hungry. Between ordering and receiving our last dish it was definitely super fast; I’m going to guesstimate under 10 minutes, but my stomach, mouth and photography couldn’t keep up and I probably wouldn’t do this again unless there was a whole group of us and we were all really hungry. Caribbean chicken bao, charred pineapple, kewpie mayo ($8.00). We got greedy. We wanted to try a little bit more; TimmyC wanted another pork bao and I wanted something that we hadn’t tried before, so we compromised and chose this. Although the chicken was super moist and tender, I didn’t think that the pineapple was charred but more importantly I didn’t see how these flavours in the bao work together. I didn’t like it. Charred asparagus, uni butter, seaweed powder ($14.00). 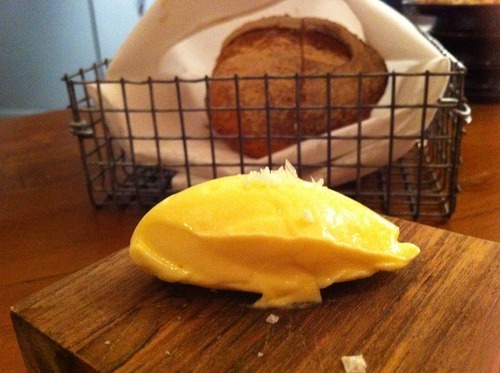 The asparagus itself was nicely cooked and the butter tasted lemony and almost had a cheesey flavour. This was cooked in their very big fancy oven (which was very $$$) but I don’t see how it is any better than me cooking it at home in a pan with butter, salt and pepper. 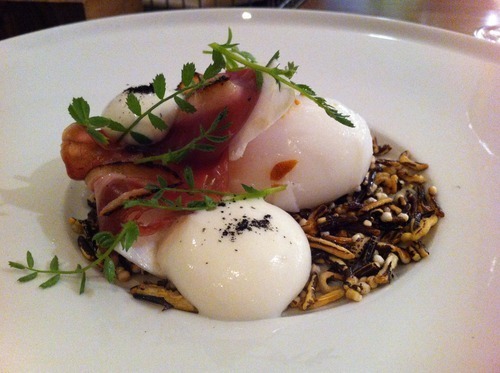 Tea smoked duck ham, gruyere custard, umeboshi and rosemary ($7.00). This was almost unrecognisable as a duck flavour, it was more familiar in my mouth as a cured pork product that has a really nice smokey flavour. I’m not completely sold on all the flavours and compared to other menu items, I probably wouldn’t order this again but TimmyC liked it. To give you a size comparison, I took a wider shot against my water glass. 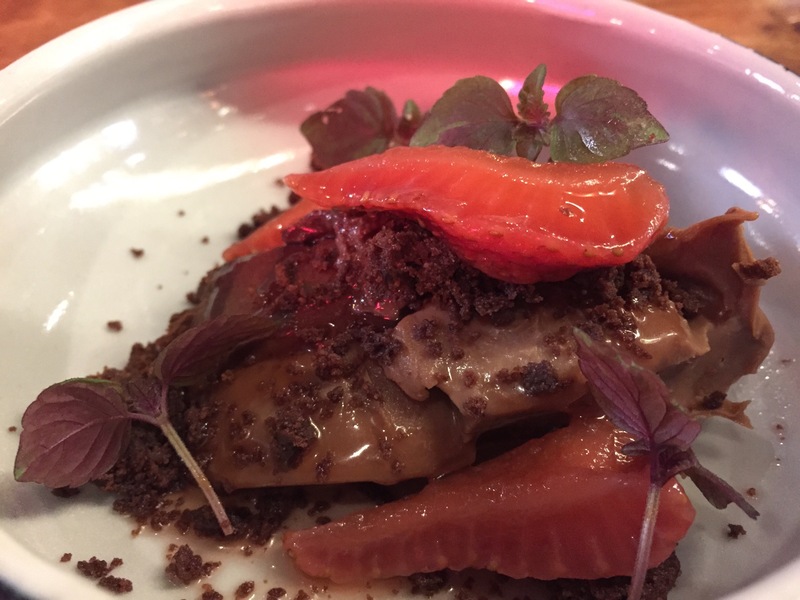 Chocolate tart, pickled strawberry ($9.00). It wasn’t as great as the first time that we had it; I felt that the soft chocolate tart component had more coffee flavours with harsh bitter after taste. Hand crafted pottery is slowly coming in as the training wheels are coming off. After having eaten most of the menu, I still really enjoy Akiba but I definitely have ‘go to’ dishes and other ones that I probably won’t bother with. I cannot wait to see their breakfast menu! If you had asked me earlier in the day what I was doing on Saturday night, I would have told you that I was going to sleep off the food coma that I was about to be induced in after heading home from a 24hr interstate return trip. I’m blaming HerCanberra and Eileen from The Food Avenue for enticing me to wanting to go to Akiba that night. What happened next was quite embarrassing, I hopefully will eventually learn to laugh at the situation, but for now I’m cringing every time I think about it. I accidentally stood at the front of the line thinking it was the back. The lovely people who were actually indeed in front of the line and had started waiting before 5pm, were very sweet not to swear at me as I innocently stood in front of them and started chatting to another 101localhuman as well as star food blogger Eileen (The Food Avenue). It wasn’t until I asked Eileen ‘how many people do you think are in front of you?’ did I realise my mistake. I proceeded to then squeeze in with Eileen and her partner who were second in line and I didn’t stop feeling guilty until I knew that everyone that was in line before the opening, was easily within the first 100 people *phew*. I think the weather put off a few people because 45 minutes after the opening, people that just came in were still within the first 100 people, which meant they got 6 dishes for free. We could see the staff being briefed inside and as it rolled around to 6pm, the door was slowly opened and we were greeted with loud applause, lots of high energy and chants of ‘Akiba’ by the staff. It all felt a bit strange and surreal but it pumped me up before our meal. 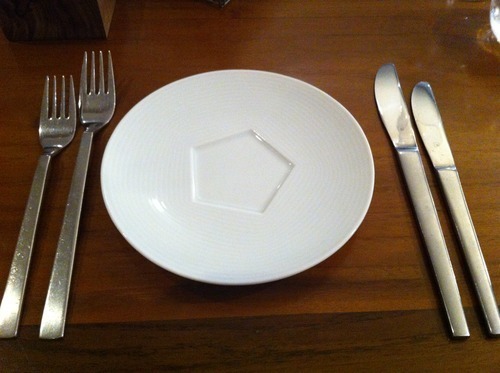 There was some confusion with the menu about the portion sizes and prices. First of all there were no prices written on the menu and they had ‘special discounted prices’ on the night for the desserts so I couldn’t tell you if the dumplings were a bargain or if you were better off buying a packet of frozen ones at home. 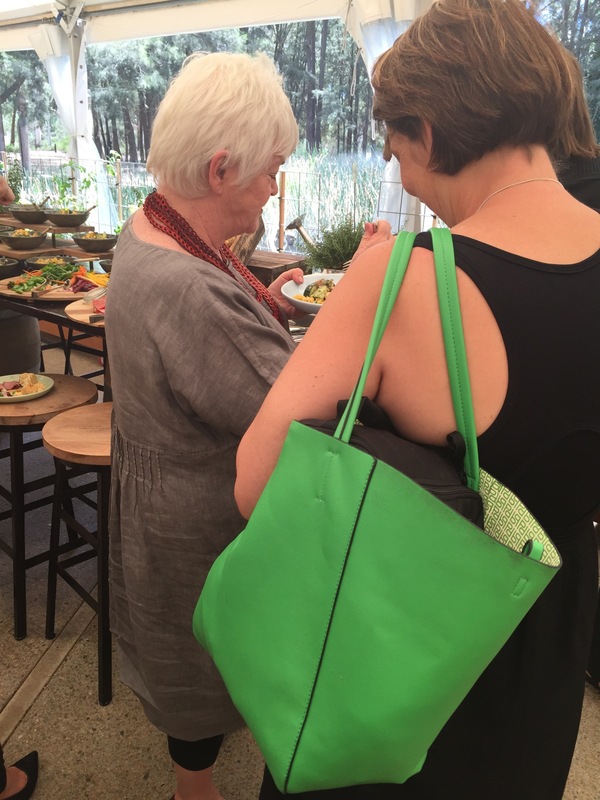 Secondly, some dishes come as a serve (regardless of how many are on the table) and some come as per person, so it might not have been advantageous for the very generous Eileen to allow me to sit at her table. The food menu is divided into the following headings: raw, dumplings/bao/pancakes/buns, meat and fish, veg and dessert. Snap, Crackle and Pop punch Ketel One vodka, Rice bubbles infused milk, pineapple and lemon Note: contains no milk ($20.00). This sounded like a really cute drink and I love how the rim of the glass was coated; everyone who tasted it thoroughly enjoyed it. Fukushima Zombie Secret blend of Rums, triple citrus and ginger. For when you need to blow off steam! ($18.00 but we were charged $15.00). This was someone else’s drink but I think the alcohol was very strong in this cocktail. Lychee cider ($10.00). I was surprised to see that this was a local product but I think TimmyC was expecting something a little sweeter. Food~ With only six dishes for free and no idea about portion sizes, we decided to choose our top 6 and then order again if need be afterwards. Kingfish sashimi, coconut, nam jim, coriander (one serve 4 pieces). As soon as I took my mouthful, my palette went on a flavour journey, it was rather amazing really. There were so many flavours in the mouthful and I really liked the addition of the coconut cream. It’s a shame that it was the first dish to come because nothing much could compare; this was definitely one of my favourite dishes of the night. Beef tartare, pink peppercorn, pickled cucumber, fried egg puree, sweet potato crisp. I wouldn’t have chosen this one personally, but I’m really glad that someone did. The crispy sweet potato acted like a sandwich cover and made it much easier to eat in a few simple bites. You wouldn’t have thought that it was raw meat; dishes like this goes to show that you should try something new and you might be pleasantly surprised. Beef short rib dumpling, preserved lemon, shiitake mushroom, star anise broth (one serve 4 pieces). The filling was very tender and almost like a pulled beef. I was impressed with the size of the dumpling, how thin the wrapper was and the addition of the star anise broth gave it the sauce that it needed to not dry out. Spiced pork jowl, pan cake, pickled white peach, cucumber, negi. This was oily, potato-ey and salty but I loved every bite. The white peach gave it a sweetness and crunch that helped with the oilyness and it reminded me of my Mum’s potato scallop when I used to wedge it into my hamburger. Pork belly bao, char sui, asian slaw (one bun per person). 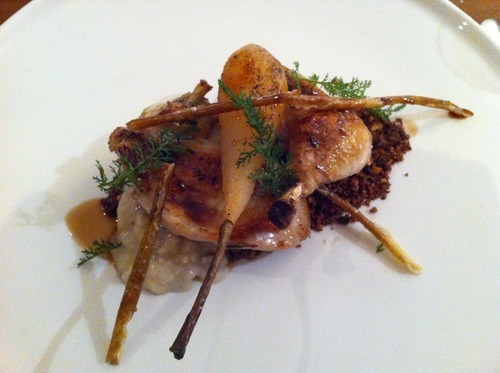 This was one of TimmyC’s favourite dishes but I didn’t like it as much. I thought that the filling should maybe have been more uniform across the bun (maybe a wide slice rather than little thick pieces) as there were some mouthfuls that had zero filling and the bun wasn’t as white and fluffy to what I’m used to. The sauce on the pork was salty but well balanced by the asian slaw. A closer look of the inside of the bao. Until this point, food was coming thick and fast from the kitchen, but they finally must have hit a breaking point because it was a loooooooong time before our last dish arrived. We didn’t mind as we were happily conversing but eventually our chicken arrived. J.F.C., lemon braised onions, parmesan (one serving 4 pieces). J.F.C stands for ‘Japanese Fried Chicken’ and as soon as we found that out, it definitely made it to our top 6 dishes. I found it a little disappointing that they didn’t take it to another level like the other dishes and it was actually in fact… Just fried chicken. Having two keen bean foodies on the table, it was no surprise that we wanted to order more dishes outside of our 6 free ones; it was for multiple reasons: 1) we wanted to suss out the prices of the meals 2) we wanted to try more from the menu and 3) we weren’t really full from the food so far. We asked our designated waiter how much the dishes were before we ordered them and he came back with the answer of ‘keep it hush hush but if you order two more dishes we’ll also give them to you free’, which really didn’t help us with our first point but we were happy enough to order another two. There was another long wait before we got our final two savoury dishes and our very kind waiter was profusely apologetic but we didn’t mind at all as we were still happily talking. They gave us an additional complimentary serving of beef short rib dumplings as an apology for the slow kitchen and not long after, our dishes arrived. It was starting to get really busy inside Akiba. Beef short rib, tamarind caramel, thai basil (one serve). This was so tender that I’m pretty sure if I sneezed it would have fallen apart. A big chunk of meat that super tender with great savoury flavours. Soft shell crab bao, pickled baby gem, creamy ponzu (one bun per person). I think in their haste they forgot the creamy ponzu and it definitely needed it. I don’t think I’m in love with their bun because I’ve had better but the soft shell crab itself was crunchy, had a nice meaty component (not just all the crispy legs) and was seasoned well. There wasn’t much on one side of my bun. Dessert~ They were giving us a special discount price of $8.00 each but they were unable to tell us how much the desserts would be charged after the official opening. 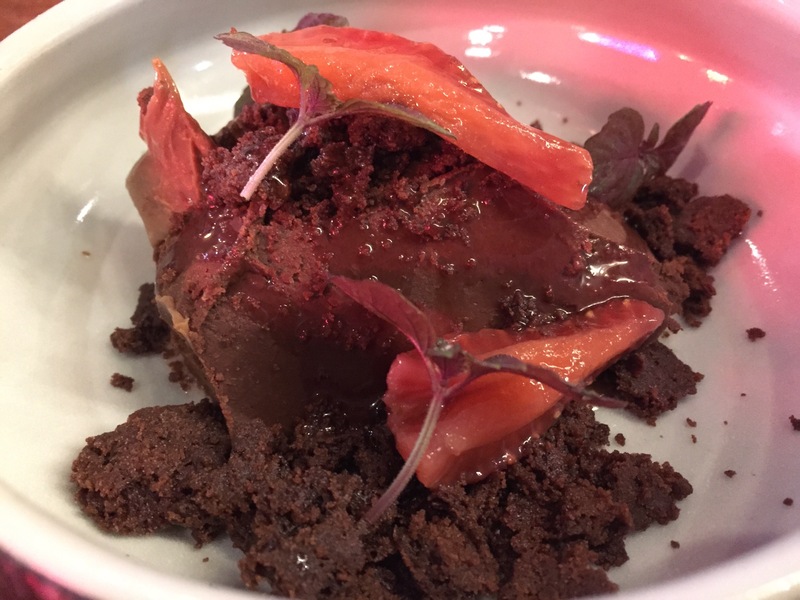 Chocolate tart, pickled strawberry. There were two parts of the chocolate tart: the hard part which tasted like solid chocolate and a soft velvety part which had delicious caramel coffee notes that everyone wanted to end on. Tofu cheese cake, anzac crumb, pandan jelly. Don’t be put off by the tofu in the cheesecake, it is more for the texture. As non picturesque as it is (comparatively), I really enjoyed it, it was light on the palette and you could really taste the pandan in the jelly; it was a very small serve though. Between the two desserts though, I would probably prefer the chocolate tart because of soft velvety component. I thought stomach wise, I was just on the borderline of being content but the longer I sat there afterwards, the ‘fuller’ I felt, but admittedly that was after sharing NINE savoury dishes and a dessert. Maybe if you don’t go from brunch straight to dinner (or eat like a normal person), you’ll require less food. I would like to thank the lovely Eileen (The Food Avenue) so so so much for letting me hijack her table and allowing me to order more food than if it was TimmyC and I (he is useless). The restaurant sits 152 patrons with outdoor seating eventually to come with another 60 person capacity. 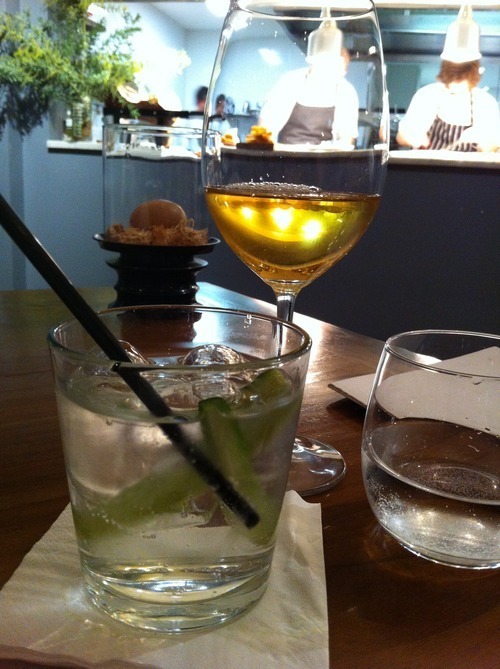 I wouldn’t have minded to sit in a booth; my bum was feeling a little sore after sitting on stools for over two hours. 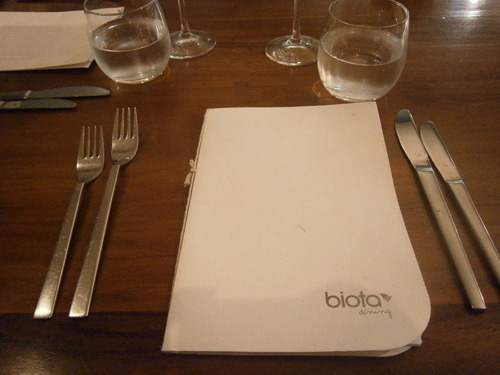 I really liked the food here, despite a few hiccups which is to be expected during the opening of a new restaurant. Akiba has an exciting menu with lots of variations; I will be returning very shortly and I will be keen to find out some prices. Opening: The official opening is Monday (8th Dec) night. They envisage being open 7 days a week for breakfast, lunch and dinner. The kitchen will close around 10 ish and the place will transition into a bar serving interesting cocktails until early hours of the morning. 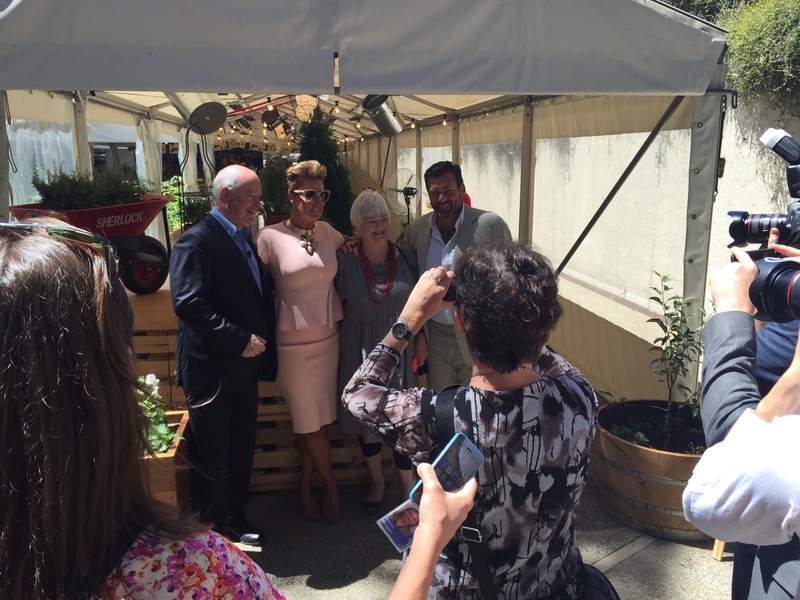 I had been kindly invited by The National Gallery of Australia to attend the Media Event with iconic Australian Chef Stephanie Alexander and Director Gerard Vaughan. 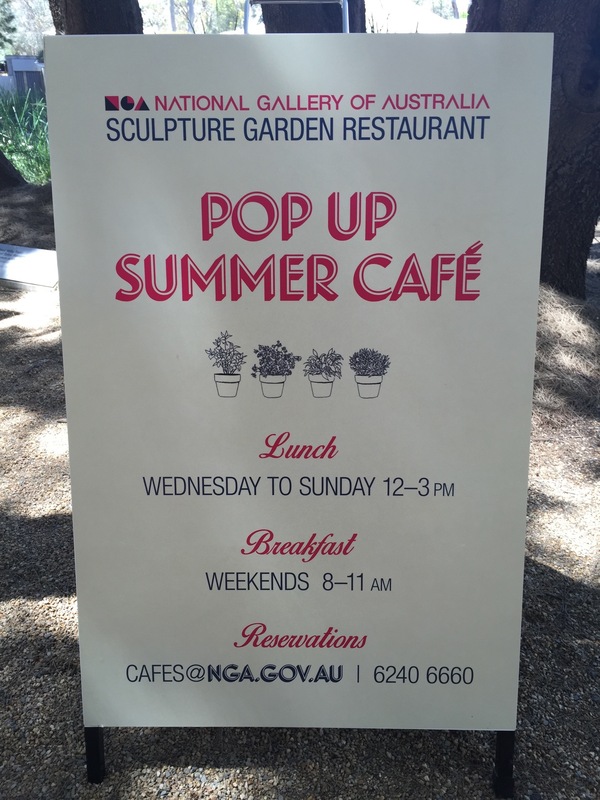 The Sculpture Garden was opening their Pop Up Summer Cafe in conjunction with the Stephanie Alexander Kitchen Garden Foundation with $1 being donated to the foundation from every meal (another reason to come here!). I thought I was running late but apparently I was right on time as Stephanie Alexander as well as the glitterati showed up and everyone started taking photos. I took the opportunity to take a proper photo as the sea of people parted (L-R Gerard Vaughan, Chyka Keebaugh, Stephanie Alexander and Bruce Keebaugh). 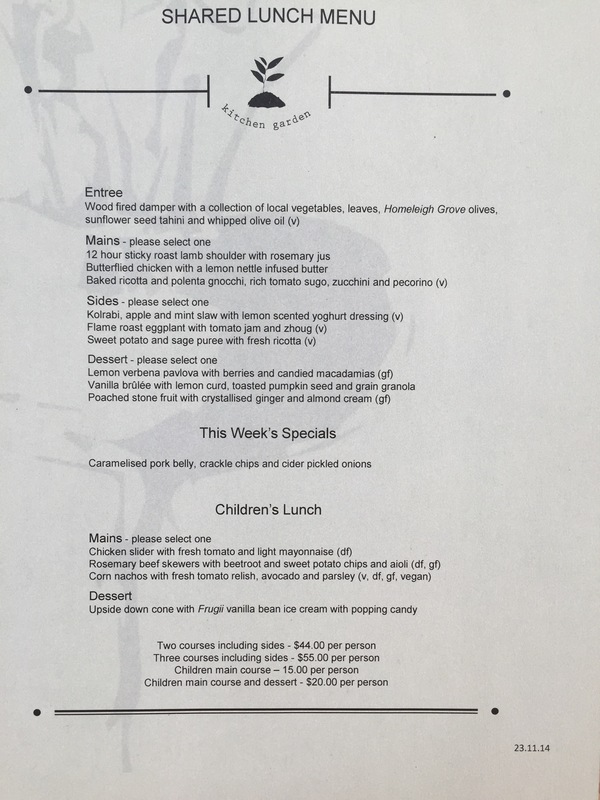 The lunch menu complete with our favourite Frugii ice-cream for dessert. I don’t understand why the kids should get all the fun! They had gorgeous little canapes floating around. 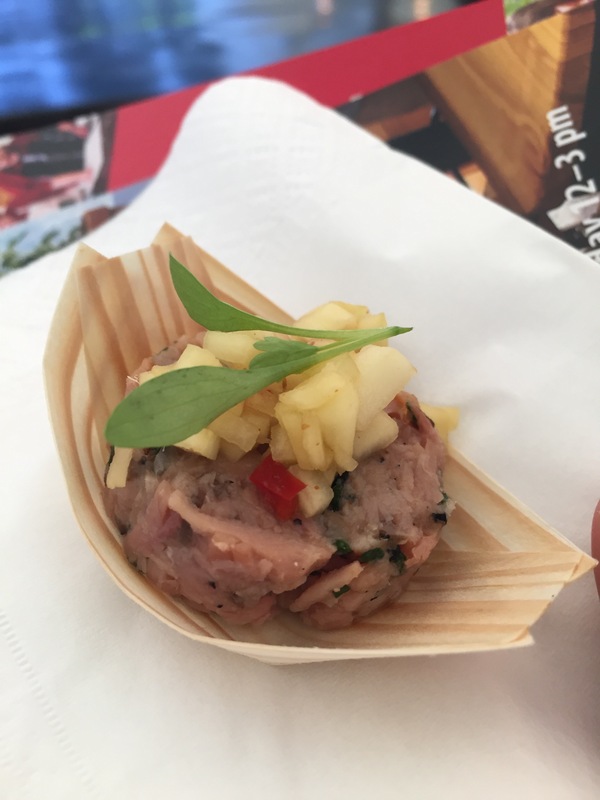 Ham hock terrine with a mango salsa. I love the bamboo boats and the terrine was delightful! I was trying to juggle my drink, my bag and my phone at the same time when these came around. I don’t remember much except that it was some sort of fish on top of a crouton and that it was tasty. 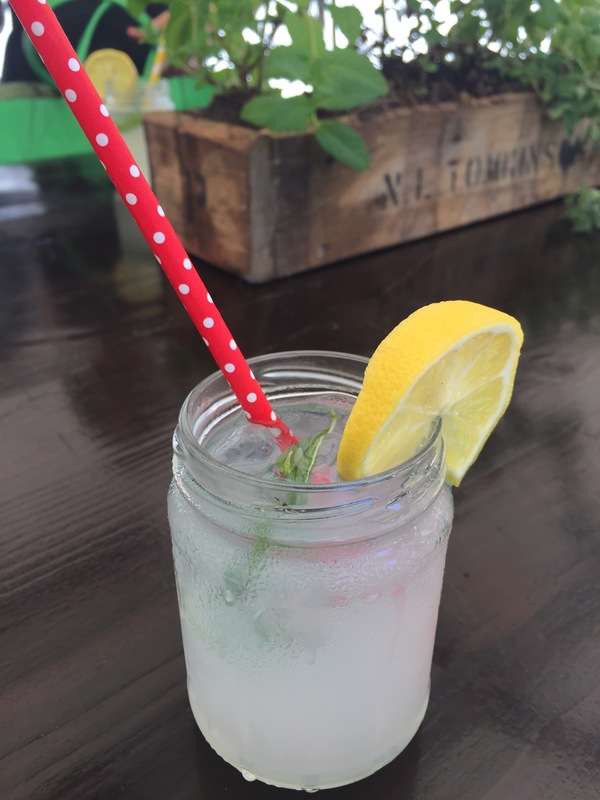 Refreshing lemonade in cutesy jars topped off with a ridiculous cute straw and a wedge of lemon. The waiter happily obliged to hold a heavy tray of lemonade still while we all took photos. What do you expect from a foodie crowd? 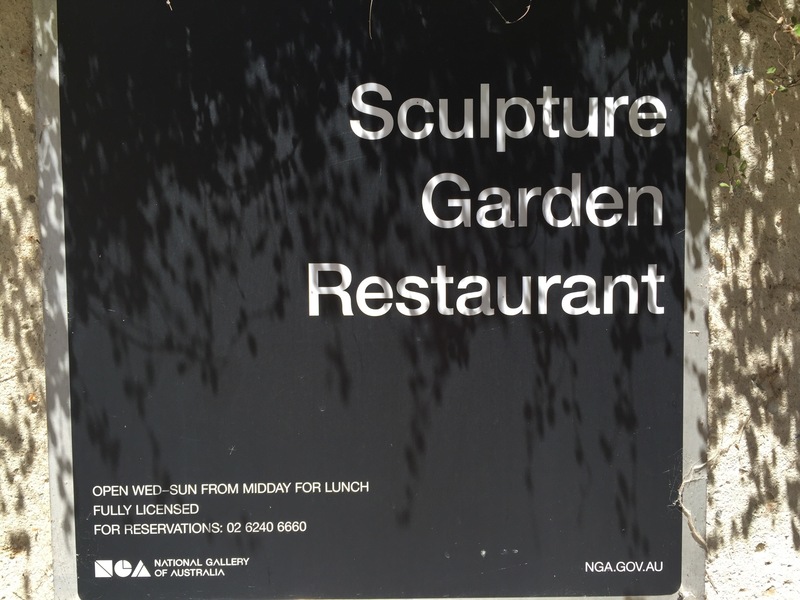 The staff from the Big Group Catering company who does the catering for the National Gallery planted all the herb boxes in and around the cafe. 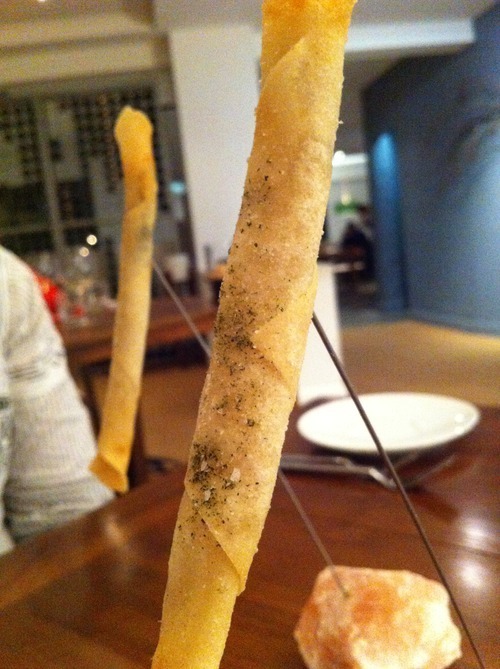 We are encouraged to utilise the herbs to enhance our meal to our liking. 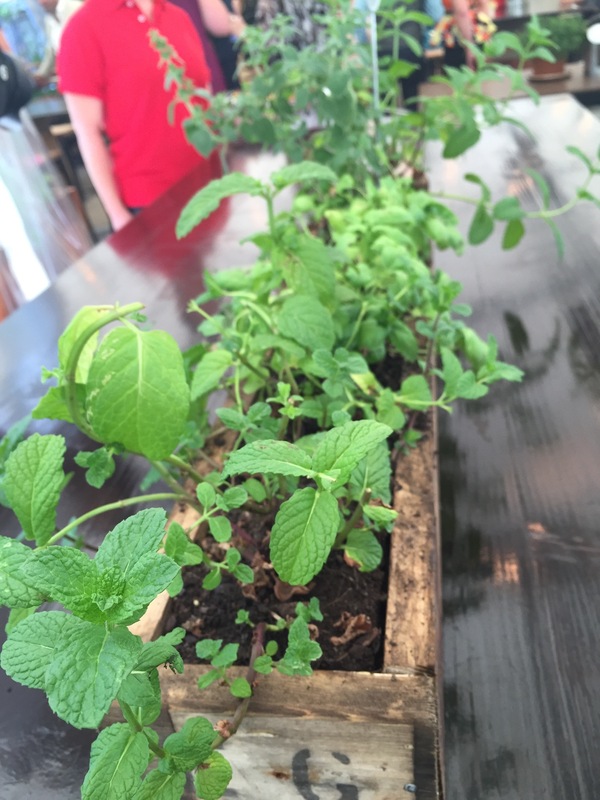 I love mint during summer, don’t mind if I do! Everyone crowded around as speeches are being made. 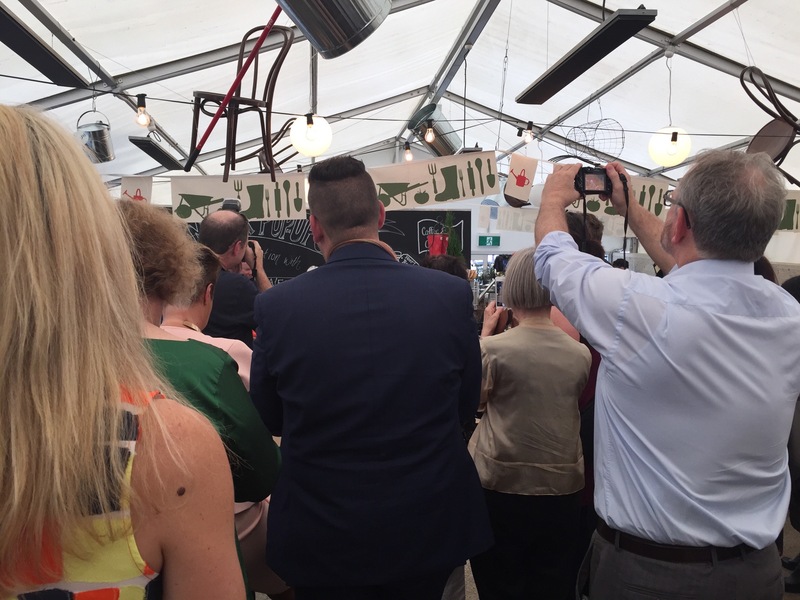 I stay at the back eating my canapes and drinking my lemonade in true foodie fashion. This looks wonderfully colourful. I take a glimpse of the platters going past as our buffet style lunch is being prepared. Lunch is served! 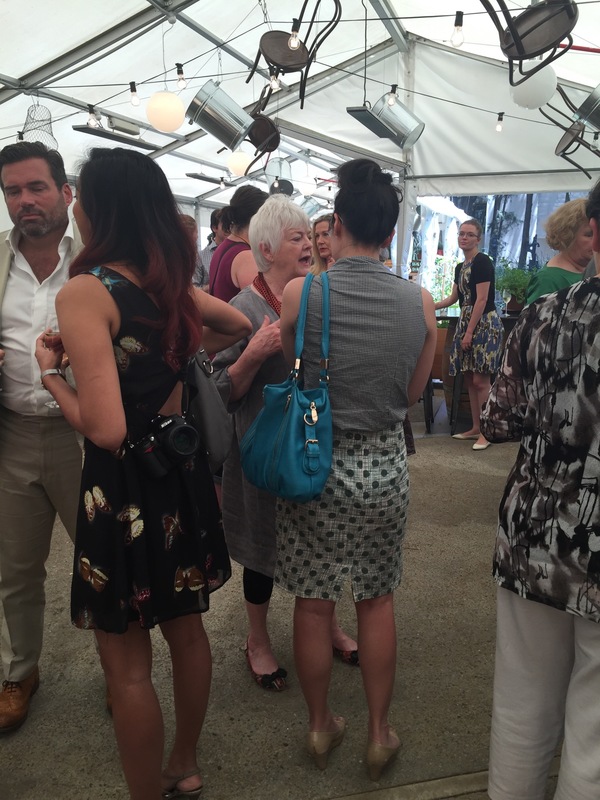 Stalker shots of Stephanie Alexander chatting with the gorgeous Amanda Whitley from HerCanberra. Stephanie Alexander doing an interview with Natasha Rudra from The Canberra Times. 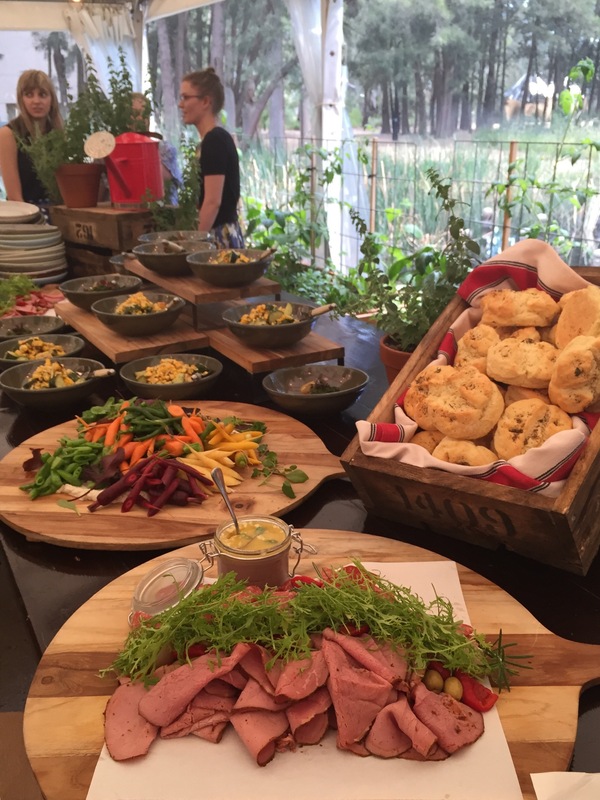 The lunch is a combination of cold meats, fresh colourful vegetables and damper bread. A close up of my plate, I’m in love with all the colours and whatever they did with that eggplant is fantastic. Everything was fresh and crunchy but I wasn’t a fan of the damper which reminded me more of a scone. The damper I’m used to back at home is fluffy and light. 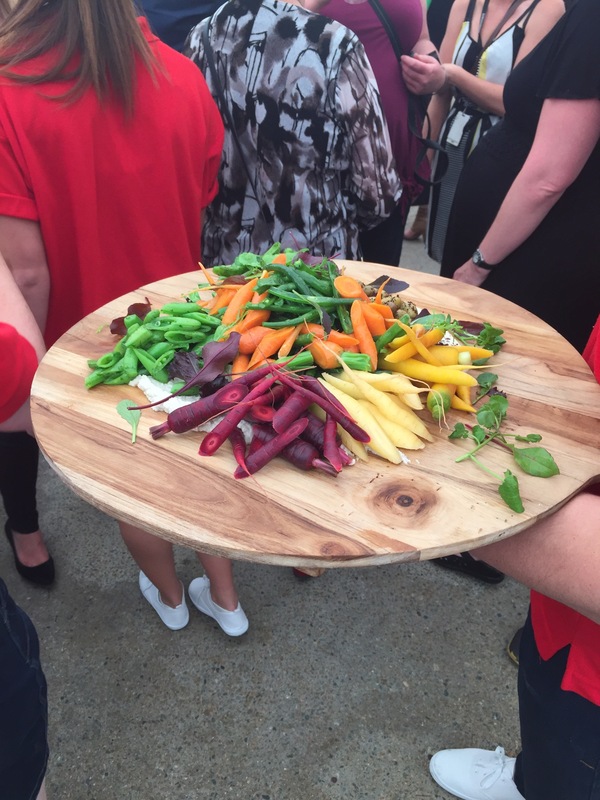 I didn’t want to be the girl who ate the whole buffet during the Media Event so I was a little conservative, but everyone else went for seconds and by the time this slow eater had finished, most people (and food) had gone. 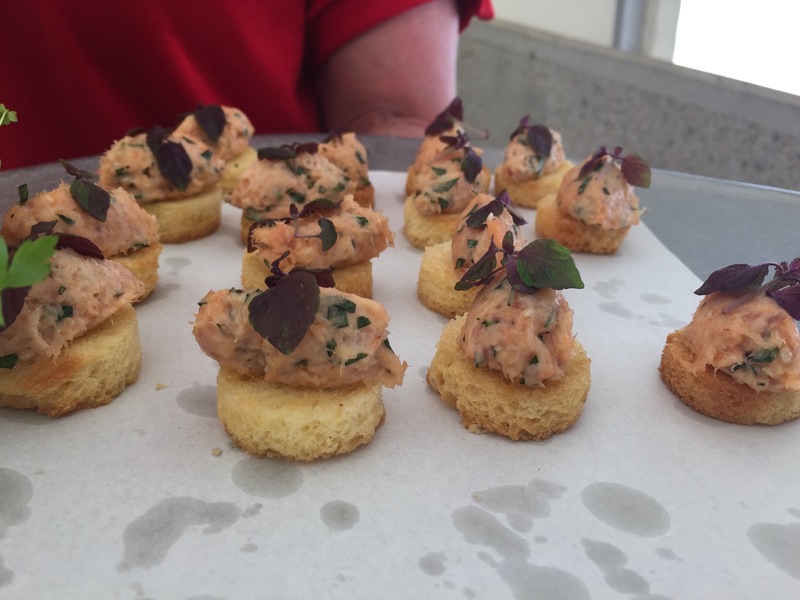 Lucky for me, there were more substantial canapes going around and they were so good! Semolina gnocchi. I was pleasantly surprised by this as vegetarian options aren’t my forte. I could easily eat a whole bowl of this. Pulled pork. A beautiful pulled pork with all the juices flowing onto a bed of mashed potato. 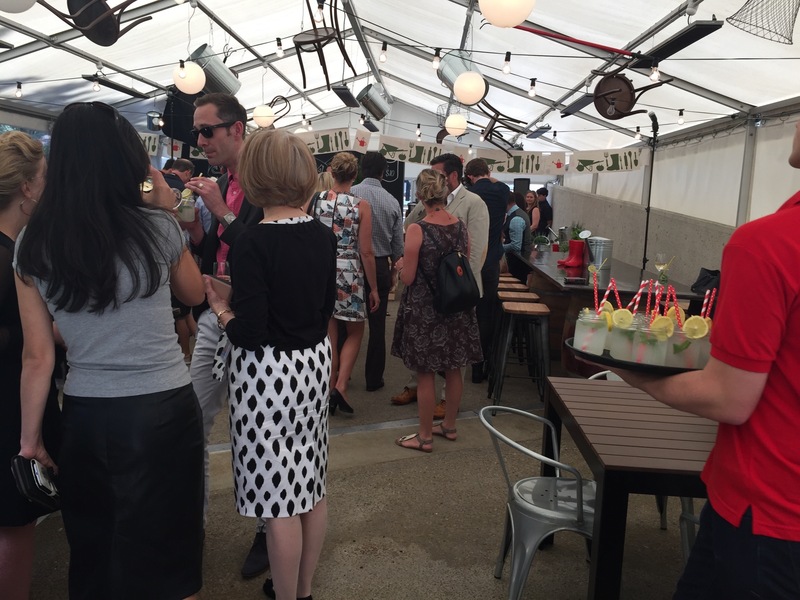 A comforting style of food that I didn’t expect at a summer pop up cafe but am happy they made it. Passionfruit mousse with a spearmint consommé and a vanilla meringue. 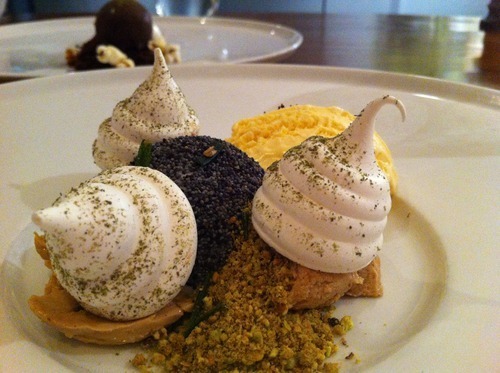 The vanilla meringue was awesome! I found the passionfruit mousse was sweet with sharp acidic notes that the consommé helped balance out but once I finished that, I picked some fresh mint leaves to help with the rest. It was ridiculously smooth. Apple tart. 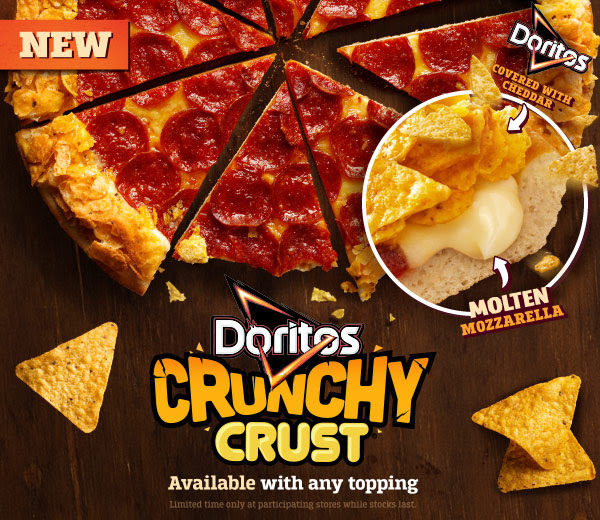 I really liked this; the crunchy parts with the soft apple were spot on. It has come to TimmyC’s and my attention that have not been to Eightysix for a full meal, dessert yes, supper yes, but not for a three course dinner and we had to rectify that immediately. 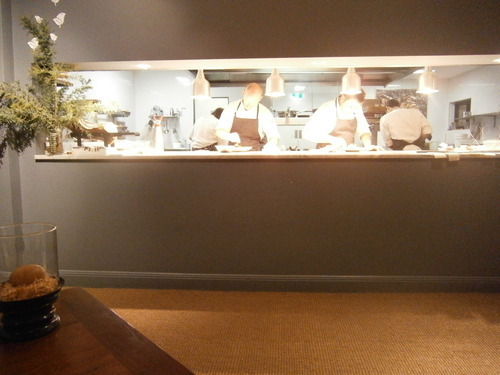 We were very impressed with all the timing, the Eightysix restaurant ran like a well oiled machine. Our reservation was for 6 pm, we ordered two courses by 6:08pm, received both entrees by 6:20pm with a nice break in between, mains arrived by 6:40 and we were out the door easily at 7:30pm despite my slow eating and also ordering two desserts. We booked for the seats at the bar so we could watch the kitchen but towards the end of the night my bum was getting sore. Duck buns ($8.00 each). I love eating buns like this. The bun itself was steamed well but it wasn’t the fluffiest bun I’ve eaten. 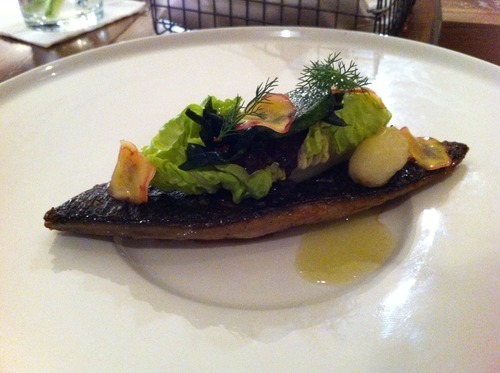 It had a little heat to it which really brought out the flavours of the duck and the cooling effects of the cucumber. El Loco hot dogs ($12.00 each). So it turned out that we paid $24 for some hot dogs. They were okay, nothing spectacular but I loved how the delicately shaved cheese basically melted in your mouth like a snow flake. Bag salmon with house pickles ($36.00). I’ve never heard of ‘bag salmon’ but it was amazing and incredibly delicate. I’m used to salmon having a distinct taste but this tasted like a ‘white flesh fish’. We really enjoyed the pickled vegetables and the sweet orange segments but I am not a fan of radish. Banoffee pie ($16.00). The caramel wasn’t overly sweet and almost over powered by the banana. I didn’t particularly like this dessert, I would have preferred one from Dobinsons. They probably intended for the salt to bring out the sweeter flavours but I didn’t really like the pretzels. Cheesecake ($15.00). It is a deconstructed cheesecake and I absolutely love the use of a crunchy granola as the cheesecake ‘base’. I thought the white chocolate snow was a choking hazard if you inhaled too closely. A very unique take on a common dessert. Nothing much to look at but it was a very delicious dessert. What is becoming the ‘norm’ prices in Braddon is becoming ridiculous, there was one time I came here for supper and my friend and I shared a few pieces of fried chicken which ended up being $30. Looking back at the hot dogs, I didn’t expect to be paying so much for 2 tiny hot dogs (I can’t wait for Akiba to open and what it promises to deliver). The vibe is always cheery at Eightysix, it is amazing to watch the kitchen work and the staff were very friendly, quirky and attentive. 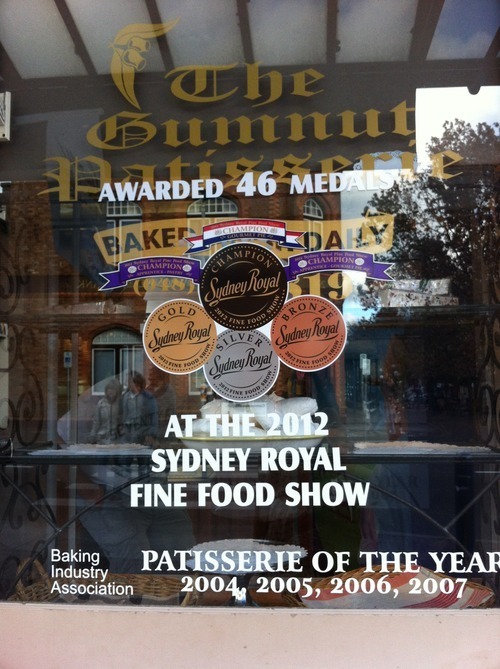 As nice as lunch was at Caffe Rosso, we skipped dessert just so I could go to The Gumnut Patisserie afterwards. I would have rolled out the car when we drove past it the first time if the main street wasn’t so busy. If all the awards wasn’t convincing enough, the nearly empty shelves when there was still at least 2 hours of trading left would let you know that they were doing something right. Too full to try their award winning pies, but their sweets looked tempting. 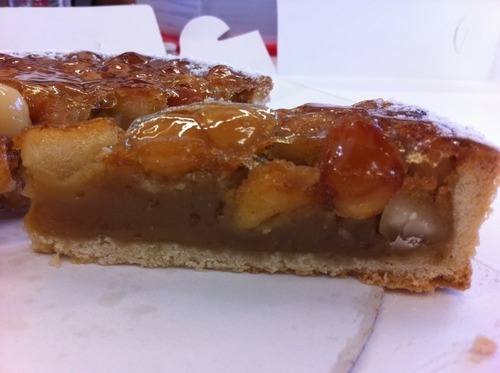 Macadamia tart– Wow this was AMAZING! 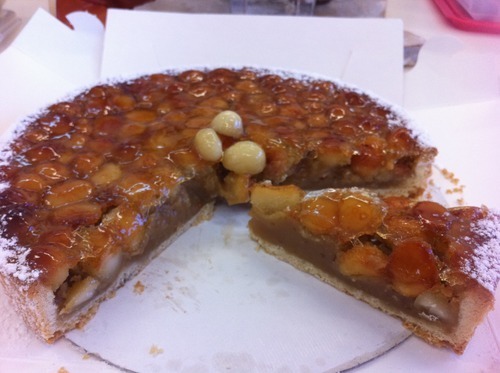 I know people go nuts for macadamias, I’m not that fussed either way but even I had two slices of this tart. Think macadamia nuts encased with a rich caramel like custard. Ok I guess it wasn’t a good start when even the girls in the shop didn’t know what flavours the macarons were. They said one might be strawberry and would have to guess lemon for the yellow one. Even when we bit into them we still had no idea what flavours they were, although there was just the ever so slightest hint of passion fruit after taste with the yellow one. Bland and basically no taste – very disappointing and they obviously didn’t win awards for their macarons. 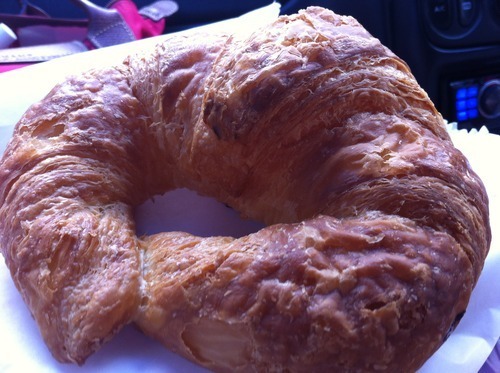 Now I’m not the biggest fan of croissants but when I bit into this my eyes widened. YUM! Perhaps the best croissant I have ever eaten! 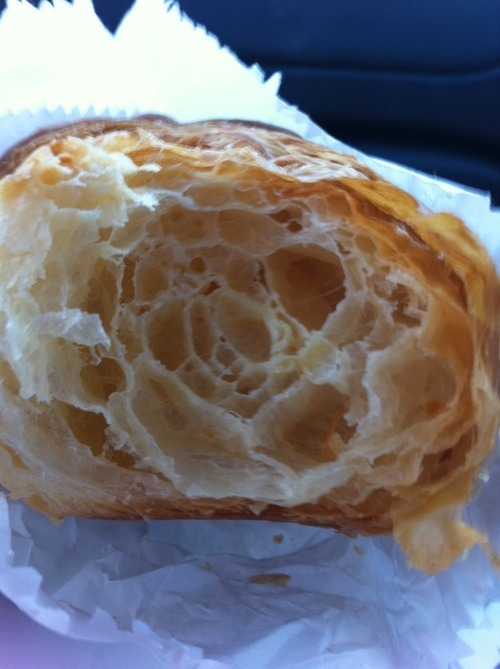 Not a hollow interior but a flaky rich buttery network inside. 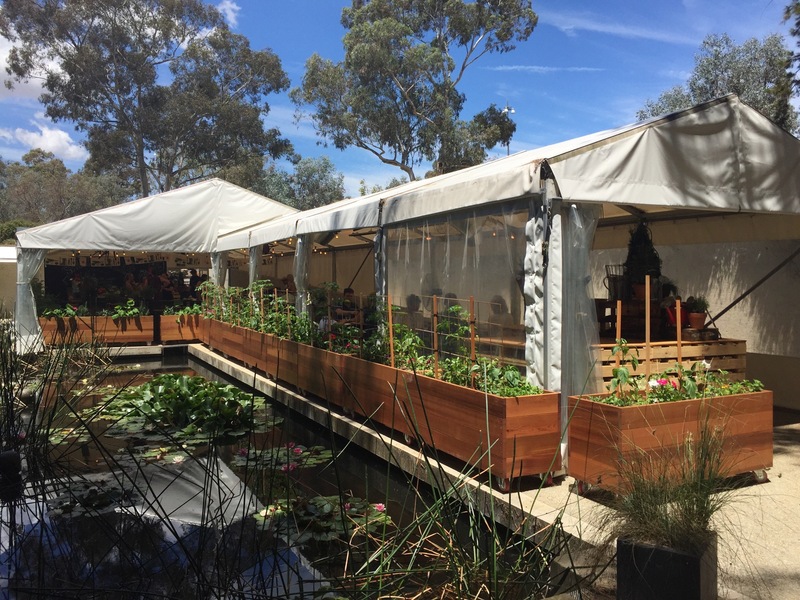 A bit unfair that there are so many delicious cafes/patisseries/restaurants to eat in one area so far from Canberra. I will definitely have to come back to Bowral and see what other gems are yet to be discovered, eating more from this patisserie will definitely be on my list! 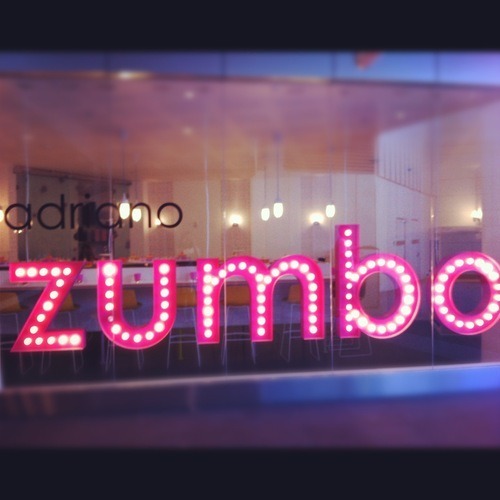 Of course if we were going to be so close to Adriano Zumbo Pâtissier I figure we may as well go and take a visit, even if they only just opened for the day. So many choices, hmmm what to get? Dulce de leche eclair– sable a choux, ducle de leche creme pastisserie caramel and caramel glaze ($9.00) Just imagine a beautiful flowing caramel inside a pastry with more caramel on top. Amazing for the taste buds and different textures to delight the senses. A bite at first seems to too much and too sweet with all the different textured caramels but when all that subsides, all you want is another bite. 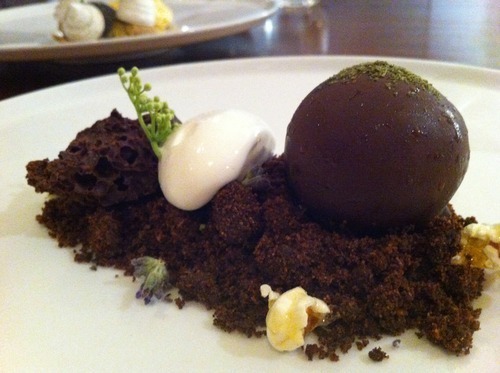 baby powder, banana, blackened vanilla, passionfruit and tonka bean, salted buttered popcorn and salted butter caramel. Oh so good, the only thing I was disappointed with was ‘baby powder’ tasted like musk, boo for me but that meant extra for Timmy. 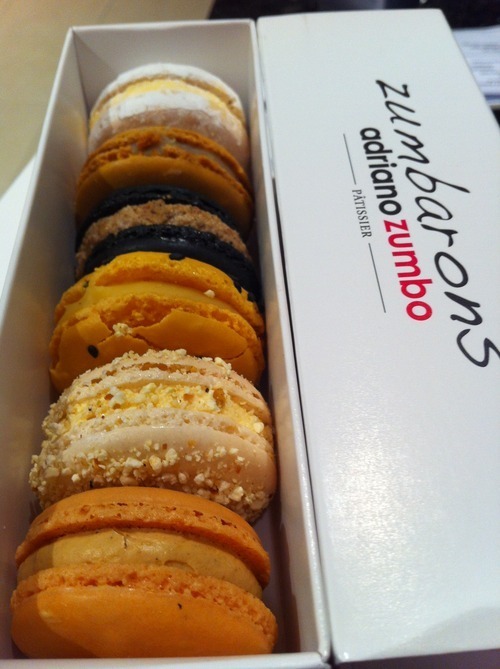 Forever delighting the senses and breaking the rules of what can be a macaron flavour, Zumbo continues to amaze me and has a good rotation of flavours so there is always something to new try. At the moment they have flavours such as peach ice tea, chocolate doughnut, pancake & maple syrup and custard crunch, which I would love to try.